I kind of wish I’d sat down last night and typed this out in a drunken and adrenaline fueled haze. Of course, had I done that, it probably would have been even less readable than my usual drivel. Or maybe not? What a night. WHAT A FREAKING NIGHT. I’ve been to a fair few shows at First Ave, but this crowd was electric. The whole place really did feel like a giant party. 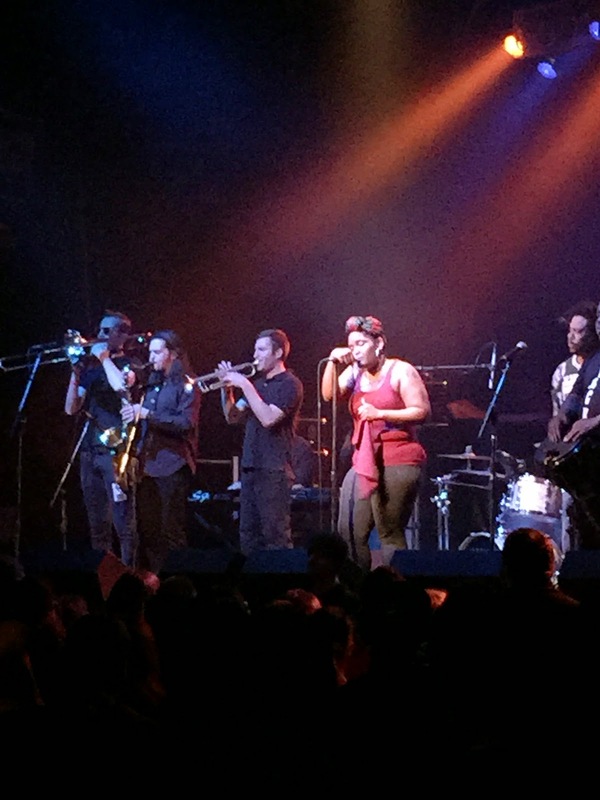 The staff of First Avenue deserves some major props for managing the crowd. A special shout out for the three or four staff members who appeared to be on puke patrol in the ladies room – including one staffer armed with a can of air freshener. I hope you all got to sleep in today. It isn’t really fair to judge PaviElle when I was counting the minutes until The Trashmen took the stage. Let me give you a bit of background here – my Dad made sure that my earliest musical memories are of The Beach Boys, Buddy Holly, early Beatles, etc etc. Much of my life has been defined by rock and roll – heck, much of ME is defined by a love for rock and roll. Sadly, this means that I am unable to see most of my favorite bands perform live. Thankfully a few of the greats are still around, and a new class of rockers (like JD McPherson) are taking the stage. point. But one almost expects it to be a passionless repetition by now. Instead, we were assured that they never get tired of the song. It’s refreshing to have someone recognize that their major hit is something to celebrate, not hide from. 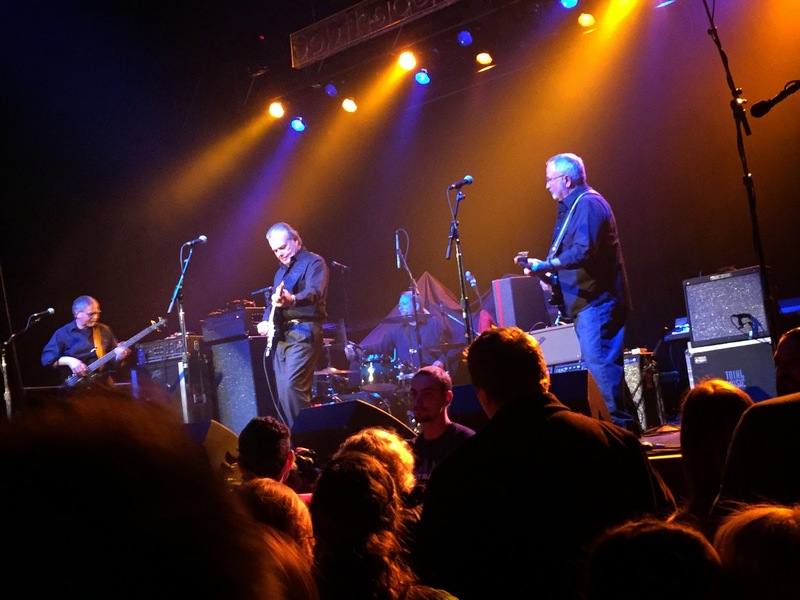 These guys may mostly be in their 70s, but THEY CAN ROCK. The guitar riffs were spectacular, their enthusiasm on stage was contagious, and I think they blew the crowd away. Hardly anyone was standing still, the music kind of demands that you dance, and had I not been penned in by the crowd, I probably would have tried to break out the mashed potato. Actually, it’s probably a good thing the crowd limited me to bopping and the twist. They were the main attraction for me, and they blew any of my expectations out of the water. 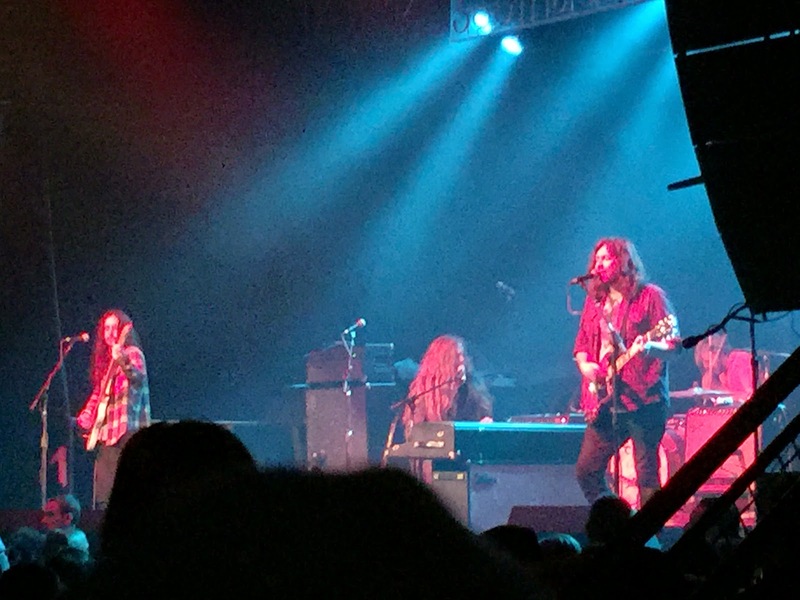 If The Trashmen took my high expectations and exceeded them, then J. Roddy Walston & the Business took my good expectations and mostly met them. Maybe I just wasn’t feeling the funk and it affected my enjoyment of both them and PaviElle. I enjoy the rockier songs of theirs but those seem to be less prevalent in their catalog than I thought. Marigold certainly evokes some earlier rock and roll for me, but the rest seemed to jump straight to the 70s. Or maybe I was just on such an adrenaline high from The Trashmen that I was unable to listen well enough. J.Roddy looks a bit like Rolf the Muppet come to life. That hair was INSANE. (I’d really like to know what brand of conditioner he uses.) He was obviously happy to be here in the Twin Cities and grateful to The Current for the exposure they’ve given him. He loved the crowd, and they loved him. We, however, used the time to buy swag, check out the photo booth, and stake out spots upstairs, away from the mayhem we anticipated for Atmosphere. That vague awareness I had of Atmosphere for nine years was bumped up a bit last January when my cousin passed away after a long battle with depression and alcoholism. He and I had grown apart over the years as we both dealt with our own struggles. But at his funeral the eulogy was given by a family ember with whom he had lived for a time. And I remember very clearly how he spoke of my cousin’s love for local hip hop artists like Brother Ali and Atmosphere. “He found truth in their music, when he couldn’t find any in himself.” I may never hear the same truth in their words, but I at least try to listen a little more closely now. We started watching the set from upstairs, behind the glass. I’d thought that the floor would be too overwhelming for me but I didn’t like how muted the sound was. I wanted to hear the words, so we headed downstairs, to the stage left wing. (I’m nowhere near ready to dive into the main crowd at a show like this. Baby steps!) 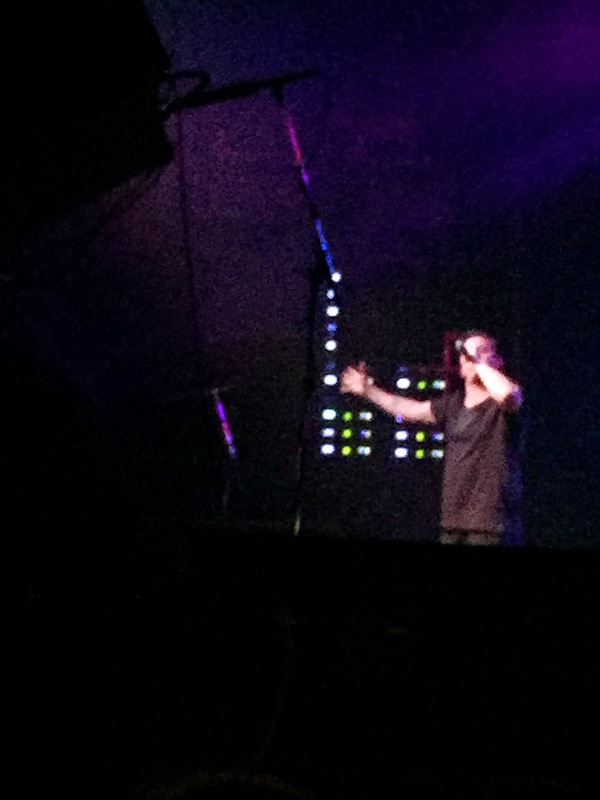 Getting closer was a great choice as it gave me a chance to see the passion in Slug’s face as he performed. The audience was mesmerized and it’s easy to see why. Hip hop is unlikely to ever be my first choice in musical styles, but I am proud of what Minnesota is brewing. 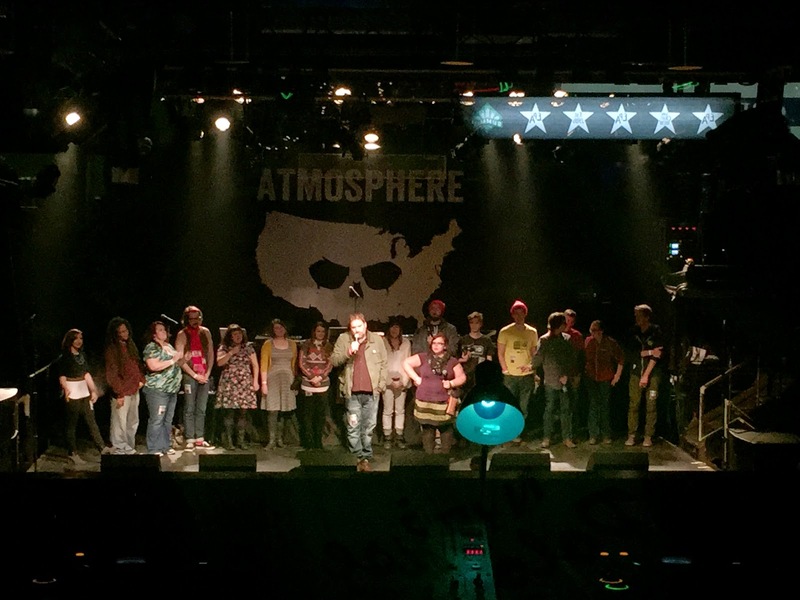 I am proud that we are home to lyrics like “Put your hands in the air like you really DO care.” I am proud that we have a radio station that will play Atmosphere AND The Trashmen. Thank you and Happy Birthday to The Current – you should probably start planning your 20th now if you intend to top this! A non-music related post-script: As we took our position on the floor for The Trashmen, I noticed Mark Mallman hanging out not far away. For some reason, I decided to tweet about this. So after The Trashmen set was over, I got some guts and told him I loved his karaoke. We had a nice chat, he loved my t-shirt, and we raved about The Trashmen. I really need to stop being such a chicken. 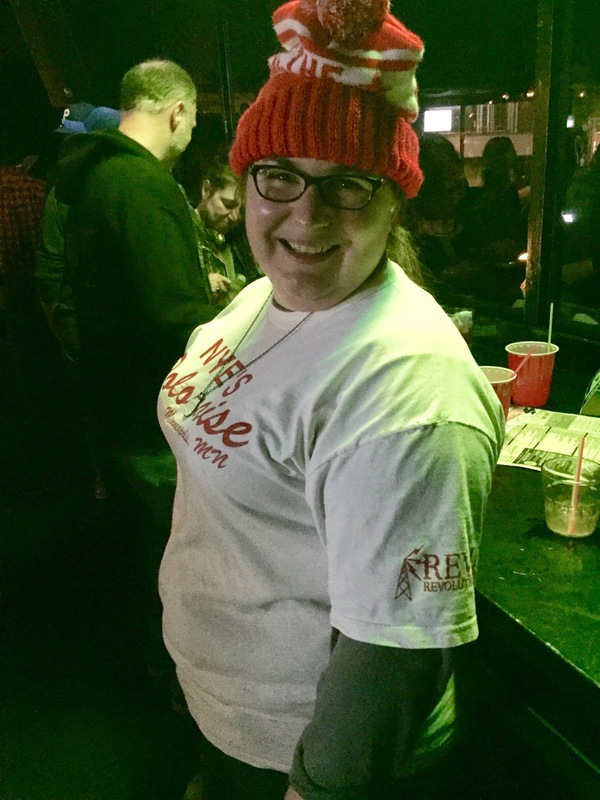 Also, I dug out my old Rev105 softball team shirt for the evening – but most people were more excited about the fact it said Nye’s Polonaise Room. Next Next post: Event: "Finding Harmony: Music & Mental Health"